The Class 11 students have produced some quite remarkable written work as part of their final literacy learning at Turney School. 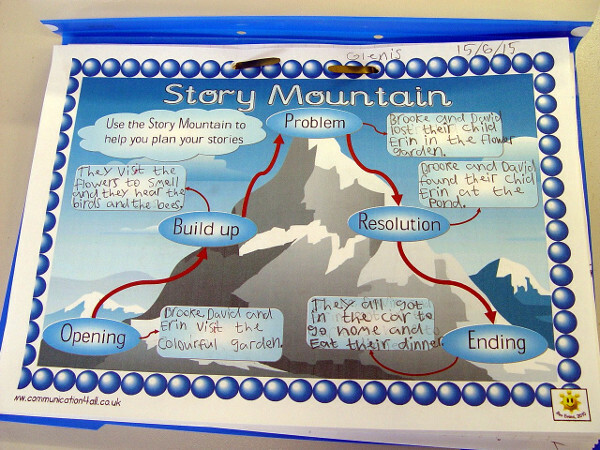 The pupils have been considering the concept of a Story Mountain. This shows how every good story can be broken down into similar stages: there is a story opening, then a build up, a problem needs to be overcome with a resolution, and finally the story needs an ending. The preparation for the story writing has also included considerable thought about the setting and the characters. Some of the pupils have created their own fictional world in which to place the story. The characters have also been given plenty of thought. This detailed preparation has helped the Class 11 students to start work on what will be their final piece of literacy work at Turney School. This is a major piece of writing that will be able to demonstrate the different skills that have been taught. The students have been able to see how the use of a story mountain, a suitable setting and thought about the characters can help them as they write their piece of fiction.